Providing a motivating and supportive environment that stimulates members. Participation increasing our impact in the Kansas City community by effectively coordinating our resources with community needs. Maintaining financial stability through our endowed funds and fundraising events. Providing comprehensive training opportunities to develop volunteers to better serve the community. Communicating and promoting the organization’s mission and historical significance to our membership and the community. Since 1914, our League has been associated with more than 350 community agencies and organizations. Since the League’s inception, our members have donated more than $14 million and over 2.2 million hours of volunteer time. League members research areas of need in the Kansas City area and educate the membership and the community about those issues. Currently our impact area is children’s nutrition and fitness. 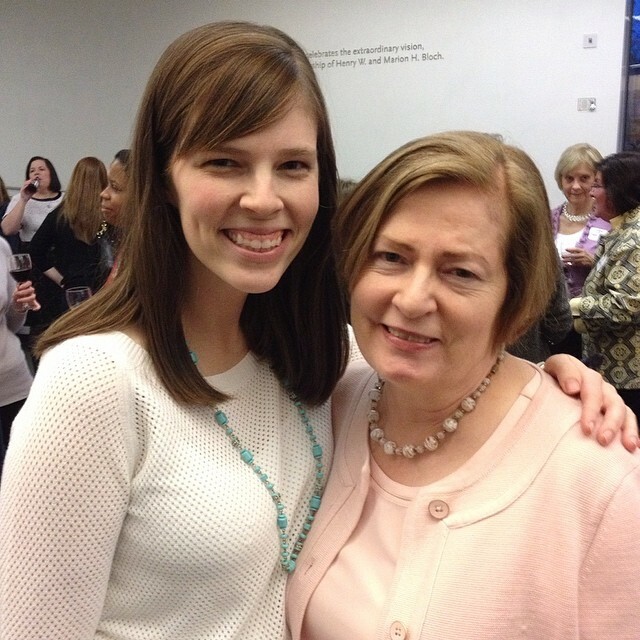 This blog helps to tell the story of the Junior League of Kansas City, Missouri. For the 2014-2015 year, posts are written by Victoria Luhrs, a third year active member in the League. Like her mother before her, and now her sister too, Victoria loves to learn more about Kansas City through the lens of a JLKCMO member. Here are Victoria and Barbara at the 100th Anniversary.